Since the last post I've been busy trying to find some employment out here in the Twin Cities. To that end I re-launched my website and this blog with a new look and a few updates to make everything cleaner and easier to find. I've had several interviews (and another tomorrow) so hopefully something sticks and I can get back to contracting out art! 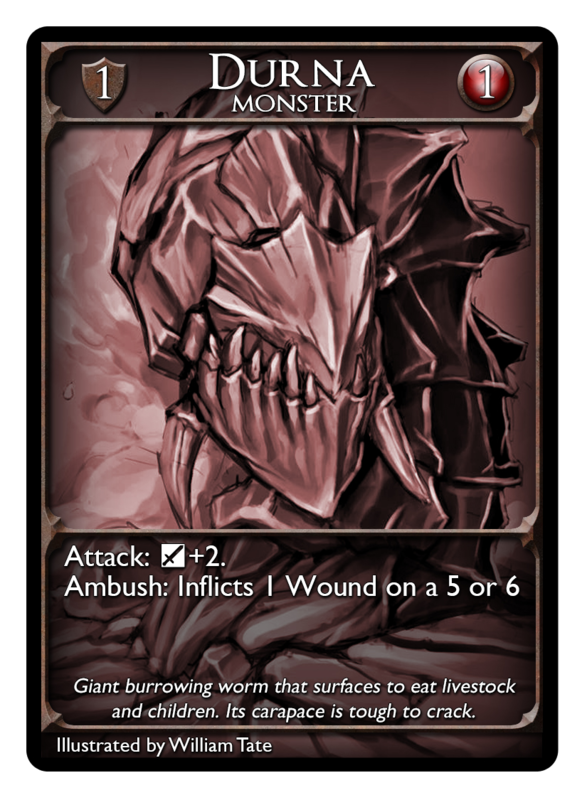 The last consignment was to William Tate who illustrated both the Carapace Armor and Durna cards. 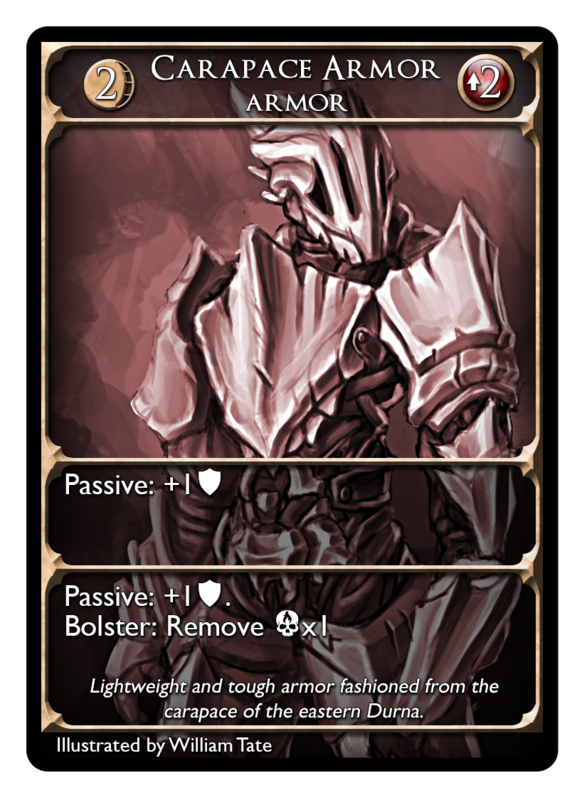 This was a neat challenge because the two cards are thematically linked: the Carapace Armor is created from the hard exoskeleton of the eastern Durna. To this date Will has illustrated weapons exclusively, so I'm really happy to show off these two pieces. I think he nailed the challenge, but I'll let you be the judge; comment below if you like it! As a shout-out, Will is looking for work too and does amazing 2d and 3d pieces, check out his portfolio here.